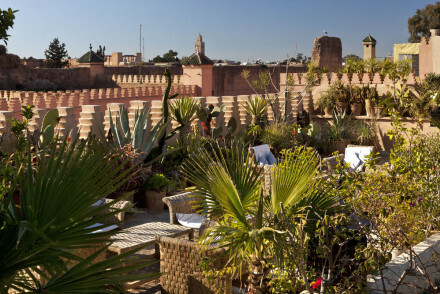 Marrakech and it's riads have it all: gorgeous gardens, exciting shopping, exotic interiors. 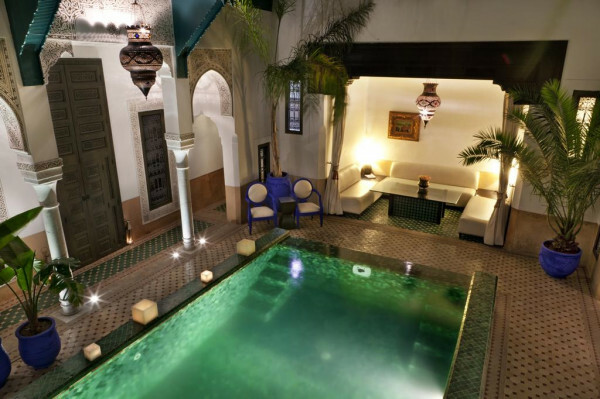 The best Marrakech riads are listed here - there are over 1000 of them. 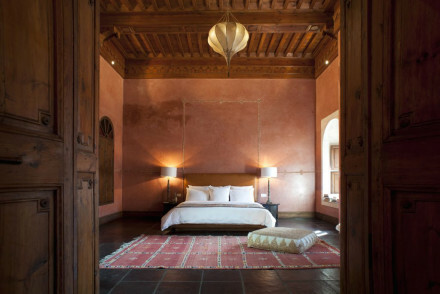 Yes, there are large hotels for sure (famous La Mamounia reopened its doors in 2009 after a two year closure), but for those who want to join in the party the rise of the Marrakech riad is a revelation, and there are some seriously cool hotels here. 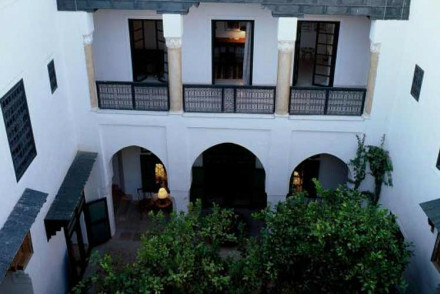 These converted townhouses (spelt riad or riyad), deep in the heart of the hub of the city, are transforming the hot, dusty, noisy medina into a 21st-century lifestyle destination. 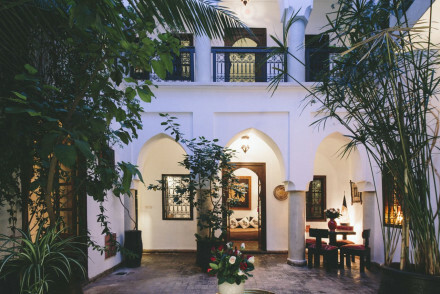 Riad, which can also be spelt Riyad or Ryad, is the Arabic word for a traditional house or palace with an interior garden, designed to provide both cool shade from the heat outside, as well as privacy for the family, especially the women. 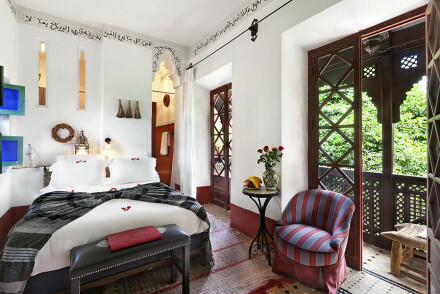 Consequently the walls of a Marrakech riad are typically very thick, made of mud, brick or clay, with no exterior facing windows, just a grilled entrance and a heavy studded door. 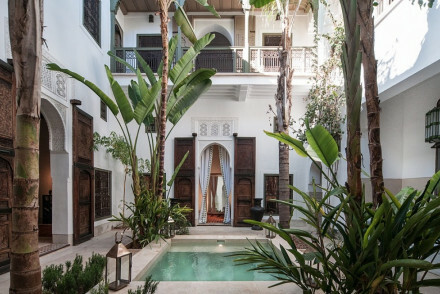 Once inside, however, a magical world is revealed, of scented potted plants, lemon trees, birdsong, and often a tinkling fountain. 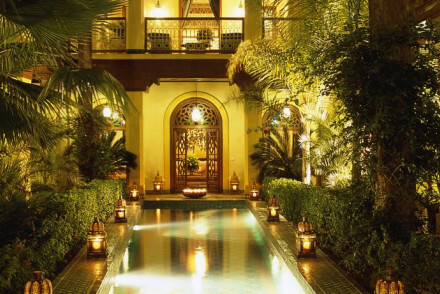 Characterized by plain facades, duck-your-head doorways, and decorative interior courtyards, the best of the riads in Marrakech are in the heart of the action, but at the same time providing a cool oasis from the noise, dust and hubbub. 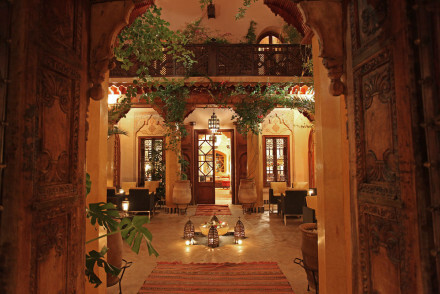 They provide your own utterly authentic oasis. 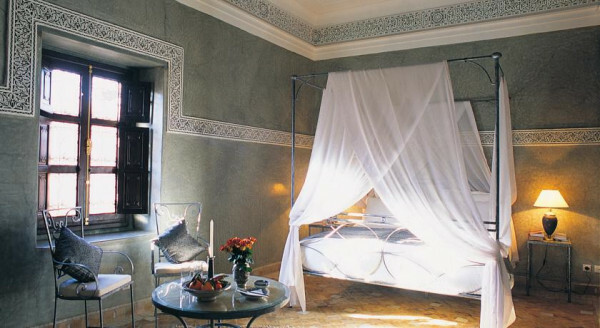 These riads are intimate affairs, and most have fewer than ten beds. 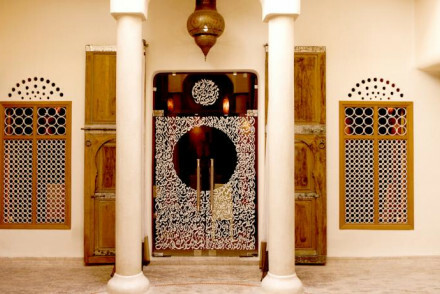 Alternatively, consult our complete list of the best hotels in Marrakech, or see our article on the Marrakech Medina for guidance on staying in these truly authentic riads.